I’m usually a little concerned when something seems pretty straightforward like “Coconut Milk” and then has to remind me it’s a beverage. What’s up with that anyway? Are people buying this small carton of coco-nutty bliss thinking it’s a block of solids? Or maybe they think it’s really a hula dancer. Coconut milk in the spirit of the islands or angry hippie? Regardless, this non-GMO verified milk is not only good stuff, it was readily available on the store shelf for a fairly reasonable price. Perfect for lactose intolerant folks looking for a milky liquid to replace milk and heavy cream in small amounts, coconut milk is surprisingly without any coconut vibe in terms of flavor, which makes it the perfect replacement. 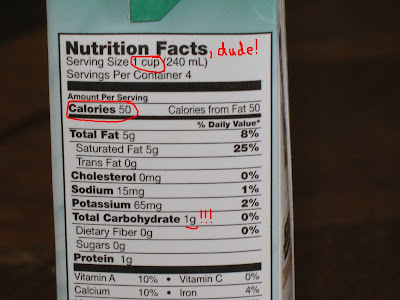 While this is unsweetened, you can add small amounts of your favorite sweetener if you find the flavor off putting (it tastes a lot like reconstituted dry milk mix) for beverage purposes, but don’t become too accustomed to the need for sweet. This beauty has a flavor you’ll quickly warm up to. I’ve been using this product for everything from smoothies to omelets, to soups or anywhere I need a little bit of milk substitute. And for the lower carb count, I can afford it. So why not go a little coconutty for this product? With the coupon here you can even save a little bit of green. Negative: Slightly spendy for four servings. I haven't found it yet. All I have been able to find is loaded with sugar like everything else. Why, oh why do they find it necessary to pollute everything with sugar? That makes the majority of foods unfit for low carbers. I was hungry in town recently and thought I could find a "health bar" to tide me over. The only low carb bar in the whole store were the Atkins bars and there were only two kinds. Thanks for the review. I recently saw this at our EarthFare grocery but didn't pick it up since I was unsure about the flavor and so on. Next time I will definitely pick me some up. Been using this for months. Excellent product. 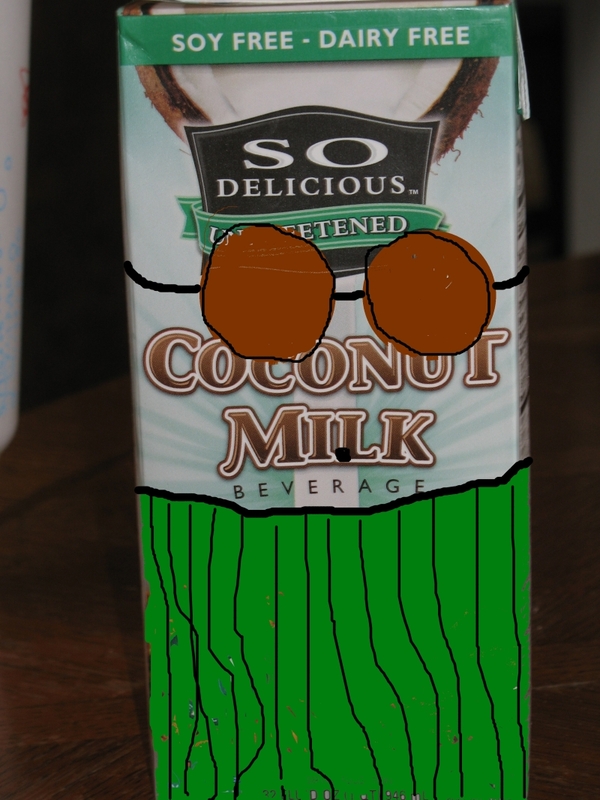 The coconut taste is ever so slight when drinking. When cooking not even a hint of coconut. Love it. Thanks for the review. Hi Jamie! Thank you for the delicious review! We're delighted to know you're enjoying our Unsweetened Coconut Milk Beverage so much, and we really appreciate you letting your readers know. We love your cute package redesign, too! They carry it at my local Smith's (Kroger) in the health food section, and it's great stuff! I have used it and love it, but you have to use it before it goes bad and I just don't use "milk" that often. Netrition now sells the shelf stable cartons too. I can also get a half gallon (non shelf stable) at my super market. It's more reasonable priced but I don't use it fast enough. Not sure how long it actually keeps since I've used it long after the expiration date and it seemed fine! Then I get nervous and throw it out 🙁 I'm on a small retirement income and hate to waste money so I now get the shelf stable cartons at Netrition. Costs more, but I don't throw any away. 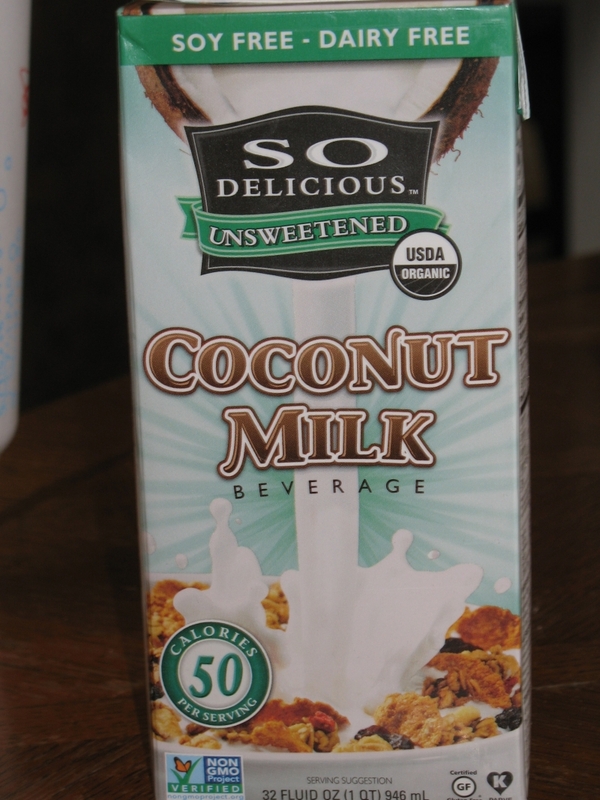 I have not tried this yet but I love silk unsweetened almond milk which about the same, nutrition wise. 35 calories per 8 oz., 1 carb, 1 protien, 3 fat. 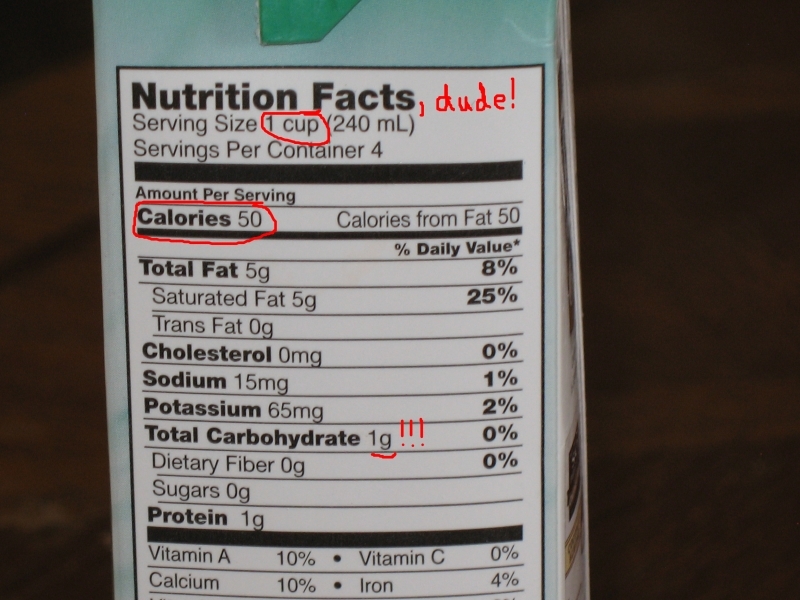 Why is it labeled a "beverage?" Because it's not JUST coconut milk, it has guar gum plus a few other additives. I’m writing this almost four years since the last post! But, my “Use By” date is Jan 8, 2015, and it is now Mar 23, 2015. Is it still safe to drink when three months past the Use By date? Thank you!